Enriched with years of experience in the industry, we are engaged in offering Concrete Paver Block. Banking on the skills of our qualified team of professionals, we are involved in providing Zig Zag Paver Block. 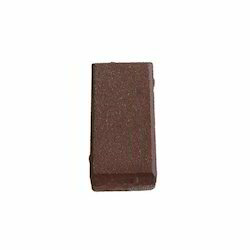 In order to keep pace with never ending demands of the customers, our company is instrumental in offering Concrete Paver Block. The landscape Architect at Taj Holiday Village requested us to produce Hexagonal Shaped Pavers with Leaf Motif on top and finally when pavers were laid in the project, both the client and the architect were quite happy with the product. Would be only too willing to produce Customised Pavers on ideas from architects and end-users. 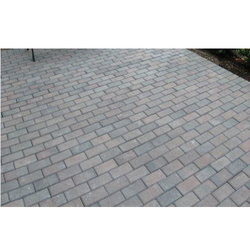 Relying on our expertise in this domain, we are into offering Concrete Paver Block. : Light weight construction for easy erection and transportation from site to site. •: User Friendly, fast and accurate control. •: Advanced energy efficient electric drive system with step less speed control. •: The Special under carriage consist of a spreader auger to spread the concrete to level. We hold expertise in offering our clients an extensive range of Concrete Tile that is quality assured and is weather-resistant in nature. We offer them in varied standard sizes and have smooth surface finishing. Our professionals, closely co-ordinate with our clients and deliver the entire product range accordingly.